I’m so excited about where God is going to take our community in 2018! 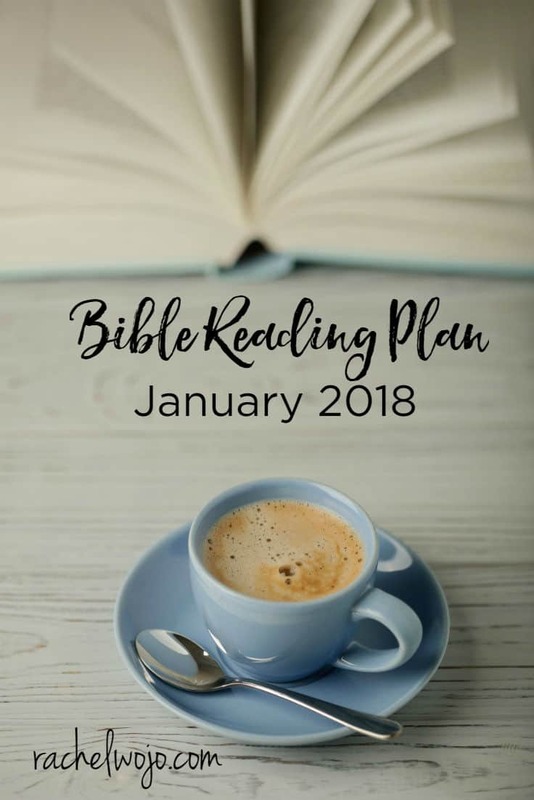 Today I’m sharing the Bible Reading plan for January 2018. If this is your first time here, then welcome! Together, the readers here have completed over 25 Bible reading challenges, including annual reading challenges and monthly reading challenges. I’ve developed all sorts of strategies to help us continue to stay in God’s word faithfully and there is nothing like this monthly system we are working through! I’ll explain why below. But first, where are we headed? 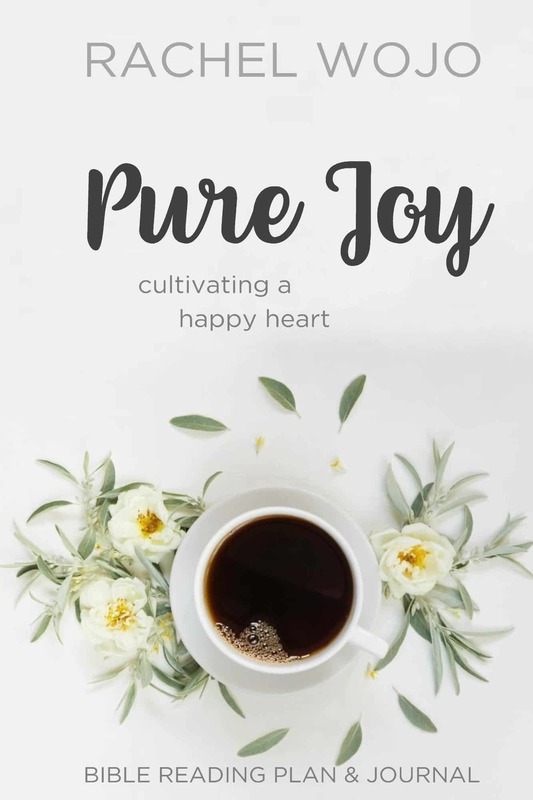 The Bible reading plan for January 2018 is the Pure Joy Bible reading plan. If you were with us last January, I think you’ll agree that this topical plan on cultivating a happy heart is outstanding! If you didn’t have the opportunity to read along with us in 2017, you are in for a treat. January is the month of the year when the reality of life tends to set in. Whether it’s the darkness of the long, winter days or post-Christmas bills, many folks deal with discouragement and depression in January. Perhaps the weight of the unknown is a cause for worry and stress as the new year presses in. Whatever your situation, this month-long adventure into God’s Word to cultivate a happy heart will renew your focus! 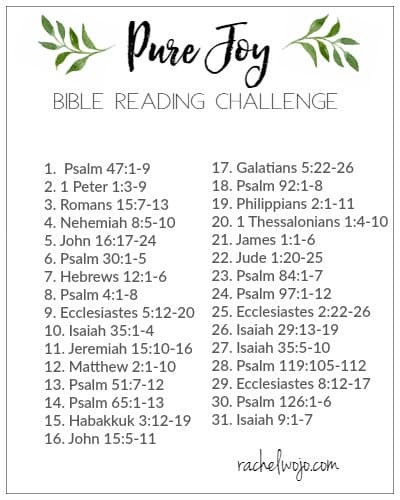 Welcome to the Pure Joy Bible reading challenge! If you’ve never joined a Bible reading challenge here before, each day we follow the plan and read the passage. You can share what you are learning on social media or just keep it between you and God. My goal through the reading is to draw closer to Jesus, and I want that for you too! For this month, we will use the hashtags #purejoyjournal and #biblereadingplan. Almost every day, I post on Instagram or Facebook about what I’m learning through the passages and sometimes I post the journaling pages I work on throughout the study. For the second month in our Bible reading challenge history, I’m continuing to offer a Facebook group available for those who would like to enjoy more conversation about the daily reading. My awesome ministry partner, Mindy, is leading this group and you are going to love her so much! She and I have worked together this entire year to build and create this format and honed it to be what God would have. As a result, I created a Bible reading plan and journal combination. This resource is designed to provide a topical theme for 31 days of Bible reading passages. The second and current edition of this journal has been expanded to include two pages for each day. This is not a Bible study with large amounts of developed content; it is a tool to be used for you to grow personally. The objective is for you to read and grow to know God’s word for yourself. I’ll be honest, using the journal is a spiritual discipline. But it’s a habit that works in spite of feelings or failures. We will begin the first day of January, just as we do every month! Don’t forget to order your journal now. I’m so excited for this study! Joy is my word of the year. I can’t wait to learn to find joy in ALL areas of my life…the good, the not so good, the ugly, the mundane. I know God will work in me with this study as I continue to grow closer to Him. Thank you, Rachel!! !